This film is a romp through the art scene of the ’60s when acclaimed artists such as James Rosenquist and Frank Stella were puttering around downtown Manhattan, scraping together loose change for canvas, paint and beer. 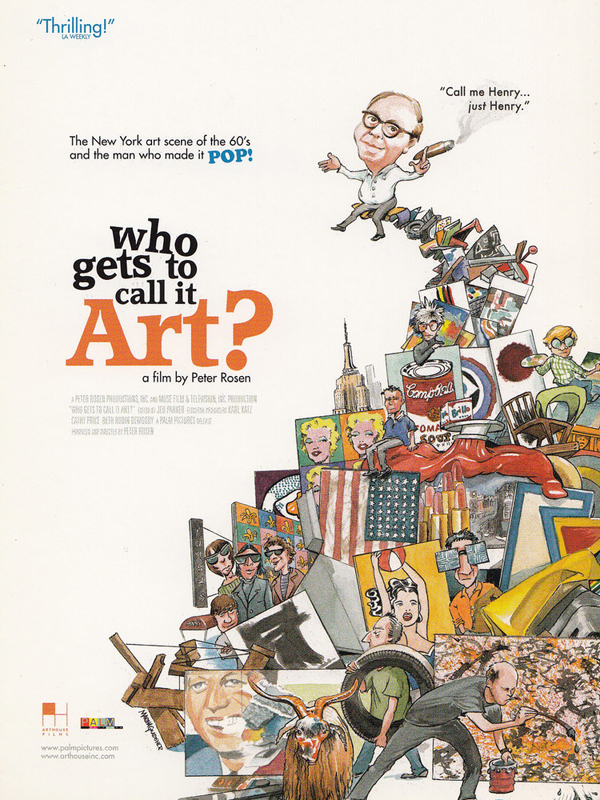 Centered on the life of Henry Geldzahler, the adventurous Metropolitan Museum curator who championed the careers of Andy Warhol and his contemporaries, this film is a fascinating look at the birth of modern American art, including a trove of rare footage and insightful interviews. Featured artists include John Chamberlain, Francesco Clemente, Mark di Suvero, David Hockney, Ellsworth Kelly, Larry Poons, James Rosenquist and Frank Stella. © 2005 MUSE Film and Television, Inc. / Peter Rosen Productions, Inc. Studio: MUSE Film and Television / Peter Rosen Productions, Inc.